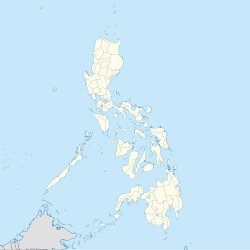 Jomalig, officially the Municipality of Jomalig, (Tagalog: Bayan ng Jomalig), is a 5th class municipality in the province of Quezon, Philippines. According to the 2015 census, it has a population of 7,417 people. It is the least populated municipality in the province. Jomalig Island is about 75 nautical miles (139 km) southeast of Polillo Islands. Mostly, the land of Jomalig is cultivated for agricultural land use. Most of the inhabitants of this island depend on coconut products, rice, fish and other root crops. Considered as one of the smallest and farthest island municipalities of Quezon Province, its land area is at 5,665 hectares (14,000 acres). Some of its land have been alienated and is dedicated mostly on coconut land which is at 3,104.0 hectares with 2,605 hectares which comprises forests, swamps and grassland. The inhabitants of this municipality originates from different ethnic groups similar to those of from Eastern Samar, Bohol, Sorsogon, Catanduanes, Camarines Sur and Camarines Norte and mostly from Quezon Province. Jomalig is politically subdivided into 5 barangays. The history of Jomalig Island is one of the best love story legend in Quezon province. Although many old Jomaligins (its people) doesn't know or couldn't remember where Jomalig derived its name, there are few old residents who still remember the wonderful legend from their ancestors. Based on the story, there was a Datu who lived in island and had a beautiful daughter. A young man from a neighboring island wanted to marry the princess but Datu didn't agree with it. The Datu said that he will only give his daughter if the young man can roam the island in just one day and successfully shoot three fishes in every pond on the island. The young man took the Datu's challenge. After he roamed the island, he almost finished the marathon, but in the end, failed to do so because he nearly died. He arrived at the finish line hopelessly and at this point, he requested the princess to kiss him as the only reward he could receive. The people in island witnessed what happened she kissed the young man and they shouted: "humalik" (They kissed). From that time on, the people on the island named the island "Humalik". Many years passed and the Humalik become Jomalig. Many old residents say that the Americans changed it when they conquered the Philippines. Due to the geographical location of Jomalig, the district found it difficult to be recognized and established which further contributed to its slow development. It was only in the year 1952 when Jomalig, Quezon was subdivided for agricultural and residential lots sponsored by Mayor Mamerto P. Azarias and the Municipal Council. Only through the inauguration by then Congressman Manuel S. Enverga did the civic leaders geared towards self-reliance. It instigated them towards development in agriculture and with this, many people from the Bicol Region migrated for richer pastures and an uplifted livelihood. Jomalig Island was a former barrio of Polillo, but on January 22, 1961, with the enactment of Republic Act. No. 3372, Jomalig Island was separated from the municipal district of Polillo, Quezon. ^ "Municipality". Quezon City, Philippines: Department of the Interior and Local Government. Retrieved May 31, 2013. ^ "Province: Quezon". PSGC Interactive. Quezon City, Philippines: Philippine Statistics Authority. Retrieved November 12, 2016. ^ a b c Census of Population (2015). "Region IV-A (Calabarzon)". Total Population by Province, City, Municipality and Barangay. PSA. Retrieved June 20, 2016. ^ "Province of Quezon". Municipality Population Data. Local Water Utilities Administration Research Division. Retrieved December 17, 2016.